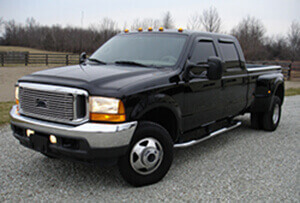 Drivers require a professional touch as does diesel truck repair. Knowing that a diesel engine is a bit different from a regular engine is important. Most dually trucks have a larger diesel engine because they offer more towing power, therefore, they’re being used at a more extensive rate. At RPM Automotive Services we understand that your truck is most likely being used for professional purposes so having it running properly is extremely important. Our technicians have been specially trained in dually service and truck repair to ensure that your truck is always in the proper hands. Our fleet center offers priority service to help keep you moving in the field. RPM Automotive Services provides an extensive range of auto repair services, diesel repair, dyno tuning and more. There is no job too big or too small for us. Our professional staff is highly trained and we are ASE Certified allowing us to maintain our reputation as the best in the business. We have been dedicated to offering the best quality work for 30 years and we continue to strive to be the best and offer only the best. We look forward to serving you in the future. If you have any questions or need to make an appointment, contact RPM today.